Far from being “tracers,” inkers are the artists who bring comic book characters to life by taking illustrators’ simple pencil strokes and giving them a sense of depth and reality. 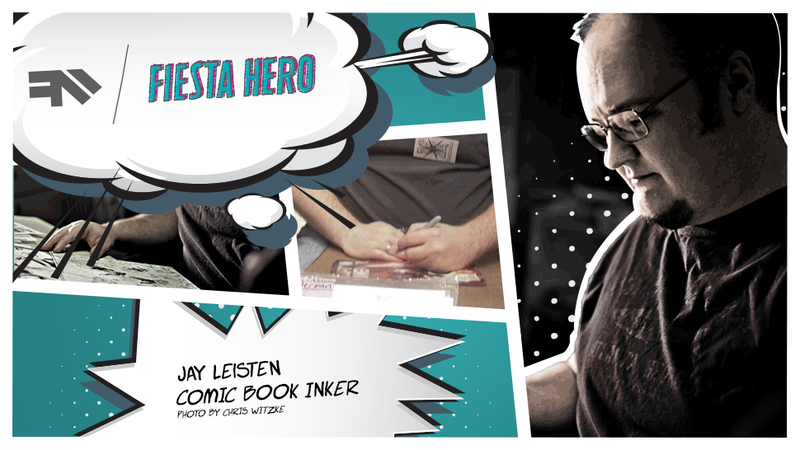 Thanks to Ford Fiesta, you have the chance to ask Jay Leisten, the artist currently inking Marvel’s Mighty Avengers, about his experience giving superheroes the visual depth that has made him one of the most respected inkers in the field. Before his current gig on Mighty Avengers, Jay inked some of the most storied franchises in the Marvel and DC universe, such as Uncanny X-Men, X-Men Legacy, Wonder Woman and Iron Man. If you think you’ve encountered his style outside the comic book realm, it’s because his work has also appeared on book covers, CD jackets, concert posters and even trading cards. Today, he’s here to talk about how he inks life into his feared and revered characters. So go ahead, jump in the comments below, and ask him anything.